With a growing debate over the role of Saudi-inspired Salafism in the development of Islamist extremism, it is worth examining the career and continuing influence of Yasir Hussein al-Borhami, one of Egypt’s most prominent Salafists. Despite the rigid ideology associated with Salafism, Borhami has proved flexible and pragmatic in ensuring a continued political presence for Egypt’s Salafists in a politically volatile atmosphere. Nonetheless, opposition to his approach has led to threats of violence from both Brotherhood supporters and fellow Salafists. Copts and more secular Egyptians also oppose Borhami’s intention to apply Shari’a across Egypt. Yasir Hussin Borhami. The bump on his forehead is known as a zabiba (“raisan”), caused by repeated contact of the forehead with the ground during prayer and is regarded as a sign of piety by some Egyptian Muslims. In 1984, Borhami became one of the six founders of Alexandria’s Da’wa al-Salafiya (Salafist Call), a movement that would borrow aspects of the Muslim Brotherhood’s preference for social organization and action, but not its structure or political aims. Though there are many schools of Salafism even within Egypt, there is a shared trend towards a literal interpretation of core Islamic texts (the Qu’ran, Sunna, hadith-s, etc.) supplemented by the work of a few later scholars who sought to eliminate religious innovations (bidah) from Islamic practice. In this sense, Salafists view themselves as rational modernists rather than the popular Western perception that they are arch-conservatives seeking to live in the past. This approach to Islam, which habitually puts the movement at odds with many other Islamic trends, began to gain currency in Egypt in the 1970s, particularly in Alexandria. Traditionally, the Salafists have been apolitical based on a tradition of obedience to rulers, giving them a certain room in Egyptian society unavailable to other religious trends viewed as a challenge to the state (such as the Muslim Brotherhood). The movement has proved attractive to professionals and uses modern technology (such as its Ana Salafi website) to disseminate its message. Borhami is closely associated with Egypt’s leading Salafist political party, al-Nur (“the Light”), formed in June 2011 by Imad Abd al-Ghaffour. By December 2012, leadership had passed under pressure into the hands of Yunis Abd al-Halim Makhyoun, a Borhami loyalist, with al-Ghaffour and 150 members resigning to form the Watan Party. With loyalists in place in top party positions, the move gave Borhami effective control of the Party without being part of its official leadership. In theory, the Salafist Call pursues a more cooperative and collective method than the more hierarchal Muslim Brotherhood; in practise, personal loyalty to Borhami is almost essential to penetrate the leadership of both the movement and its political expression, the Nur Party. By leading his movement into politics, Borhami intended to press for a Shari’a state without reliance on the Muslim Brotherhood while attempting to diminish the appeal of radicalism in the movement’s younger members. The Salafists played only a minor role in the 2011 Revolution, most preferring to maintain a traditional apolitical stance, though individual members joined the protests in Tahrir Square that ultimately compelled the overthrow of President Mubarak by the Egyptian military. In the parliamentary elections that followed the Revolution, al-Nur shocked the nation by forming a coalition with three smaller Salafist parties to take 24% of the vote, making the party the second-largest block in parliament after the Muslim Brothers’ Freedom and Justice Party. Though Borhami opposed the participation of women and Christians in politics, he opened up the doors of the Nur Party to both as candidates in the election after their inclusion became legally required. In the first round of the presidential election, Borhami steered al-Nur into support of Abd al-Moneim Fotouh rather than the Muslim Brotherhood’s candidate, Muhammad al-Mursi. In the run-off, however, al-Nur switched its support to Mursi against the candidacy of Mubarak-era premier Ahmad al-Shafiq in the second round, won handily by Mursi. Borhami played a major role in drafting a new constitution, but initiated a bitter dispute with the shaykhs of al-Azhar when he claimed the institution was trying to ensure its supremacy in the new constitution, accusing it further of advocating too forcefully for Christian rights in the document (Daily News Egypt, December 24, 2012). Borhami ultimately backed off, recognizing the importance of al-Azhar to most Egyptian Muslims. During the constitutional discussions, Borhami emphasized the necessity of curbing rights and freedoms, though “this doesn’t mean cancelling rights and freedoms” (Daily News Egypt, December 25, 2012). To the alarm of many Egyptians (even within the Nur Party), Borhami interpreted Article 10 of the constitution as allowing Salafis to establish Saudi-style Committees for the Promotion of Virtue and Prevention of Vice, religious police entitled to punish or arrest civilians believed guilty of Shari’a violations (Daily News Egypt, December 25, 2012). Others involved in the constitutional process did not share Borhami’s enthusiastic view that the draft constitution would implement restrictions on “freedom of thought, expression and creativity” and could eventually be used to strip apostates of their human rights (Daily News Egypt, December 24, 2012). As the post-Revolution Mursi government faltered under economic and security pressures, Borhami’s feud with the Brotherhood intensified, with the Salafist leader warning the Brotherhood would pay the price for Mursi’s stubbornness in rejecting Salafist attempts to mediate a solution to the crisis (al-Masry al-Youm, March 15, 2013). After the Egyptian military’s slaughter of hundreds of Brotherhood supporters at two Cairo sit-ins, Borhami absolved al-Sisi of any blame, saying it was impossible for the general, “a religious man of high ability and competency,” to have issued a command to kill all protesters (Ahram Online, January 21, 2014; al-Masry al-Youm, January 26, 2014). Borhami laid the blame directly at the feet of the Brotherhood, saying they had encouraged their members to face bullets to create massive casualty counts that would discredit the army (Ahram Online, January 21, 2014). Borhami opposed Islamist protests against al-Sisi in the summer of 2013 and claimed Western criticism of the general’s methods was in fact an attack on Egypt and Islam as a whole: “[The Islamists] should admit that the military saved the people from civil war in which millions of people were against Islamists” (al-Masry al-Youm [Cairo], August 27, 2013). By early 2014, the rift with the Brotherhood had grown so much that calls to attack Borhami began to appear on Brotherhood Facebook sites (al-Sharq al-Awsat, January 4, 2014). In early February 2014, Borhami declared that the Salafist Call would not support al-Sisi’s candidacy for president, though it would not oppose him (Ahram Online, February 1, 2014). There is often some confusion regarding the actual content of Borhami’s fatwa-s as he commonly backs away from controversial rulings when they appear to be out of step with the rest of Egyptian society, including the religious current. One such example was Borhami’s fatwa against the 2014 FIFA World Cup, which the shaykh claimed would distract Muslims from their prayers and encourage Muslims to admire non-believers playing for foreign teams. When his ruling was widely ridiculed in soccer-mad Egypt, failing even to gain support from other religious leaders, Borhami backed away, claiming he only meant to say “don’t waste your time” (International Business Times, April 27, 2014; al-Masry al-Youm, June 15, 2014). A ruling that a man can abandon his wife to rapists if his own safety was threatened. Borhami claimed that the ruling was “woefully distorted” by the media and concerned only “absolving from sin those incapable of defending themselves” (Al-Monitor, October 21, 2015). A fatwa calling on Muslims to refrain from congratulating Coptic Christians on their religious feast days led to a police report being filed by both Muslim and Coptic leaders accusing Borhami of contempt of religion and inciting sectarian violence (al-Masry al-Youm, April 27, 2014). In February 2012, Borhami used the Salafi Call’s website to issue a fatwa pronouncing the impermissibility of standing for the national anthem (com, February 25, 2012). Borhami later admitted that he found it “unwise” to follow this fatwa in the face of a possible six-month stretch in prison for disrespecting national symbols (Al-Monitor, October 21, 2015). In August 2012, Borhami clashed with other Salafists by issuing a fatwa that said an International Monetary Fund loan to Egypt at 1.1% interest was not usury (collection of interest is forbidden in Islamic finance) (al-Masry al-Youm, August 28, 2012). Borhami was seen in a December 14, 2013 video explaining the permissibility of demolishing Christian churches, an activity that is generally understood to be impermissible in all but the most radical Islamist circles (com, March 18, 2015). Borhami’s remarks on this issue were condemned by al-Azhar and many leading Egyptians, leading him to deny he had ever issued a fatwa on this subject (Al-Monitor, October 21, 2015). Among Borhami’s most pressing concerns are “radical secularism” and fears that Iran will spread Shi’ism to Egypt, where the small existing Shi’a community is closely monitored by the Salafi Call in cooperation with security services. This collaboration with security forces has opened rifts with the rest of Egypt’s Islamists, including some members of the Nur Party. Al-Nur was targeted by the “No to Religious Parties” campaign that preceded the election. Supported by Egypt’s Ministry of Endowments, the campaign collected 1.25 million signatures in support of its claim that religious parties violated the section of the Egyptian constitution banning the formation of political parties “on a sectarian basis…” (Daily News Egypt, October 11, 2015). Borhami’s view was that the new constitution declared Egypt was an Islamic nation, making Islamic political parties permissible. In contrast to their earlier success, the Nur Party was crushed in the 2015 election. After a poor showing in the election’s first phase, Borhami pleaded with Salafi leaders to urge their followers to the polls, but many Egyptian Salafists had had enough of politics. 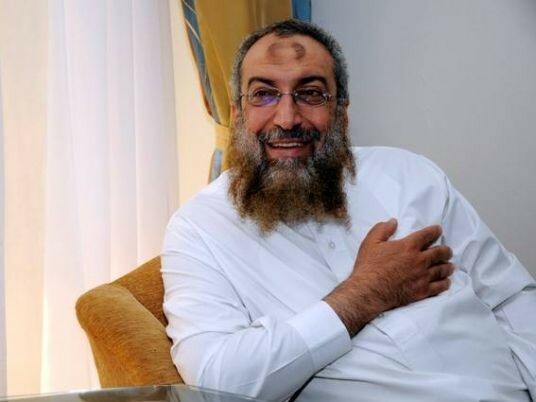 With only nine seats taken by the election’s conclusion, Borhami accused the government of detaining Salafist candidates and orchestrating a hostile media campaign, but many former party members cited the party’s political flexibility as the real reason for the party’s poor performance (al-Masry al-Youm, November 25, 2015; Reuters, November 23, 2015). One failed Nur candidate blamed the controversial fatwa-s issued by Borhami and other Salafist Call leaders for the failure (al-Masry al-Youm, October 25, 2015). The Salafist Call has publicly condemned Salafi-Jihadism and radical Qutbist ideology, preferring a method of collective action over violence in the establishment of a Shari’a-based state. The movement believes greater religious education is the key to prevent radicalization of the sort that has led to the creation of an Islamic State chapter in the Egyptian Sinai. Borhami insists the Salafi-Jihadis of the Islamic State do not belong to any particular Islamic trend, preferring to believe they are the natural result of human rights violations. Salafi preacher Muhammad al-Abasiry recently claimed that Borhami’s students have already joined Islamic State forces in Syria (Daily News Egypt, December 20, 2015). Stéphane Lacroix, “Yasser Borhami,” in: Bernard Rougier and Stéphane Lacroix (Ed.s), Egypt’s Revolutions: Politics, Religion and Social Movements, Palgrave MacMillan, 2015. This article first appeared in the January 2016 issue of the Jamestown Foundation’s Militant Leadership Monitor. “There is no future for ISIS. Not in war and not in peace.” These words were spoken not by Barack Obama or Vladimir Putin, but rather by Hezbollah leader Sayyid Hassan Nasrallah, whose Lebanese Shi’a supporters are engaged in a growing battle against the Sunni militants inside Syria (Press TV [Tehran], November 14, 2015). Despite this, few analysts have considered how Hezbollah’s commitment to defeat Sunni extremists in Syria would fit into a larger Western and/or Russian-directed military intervention to destroy the Islamic State terrorists, especially when the movement is itself considered a terrorist organization by many Western states. Nasrallah insists his movement is conducting pre-emptive military operations designed at preventing Sunni extremists from entering Lebanon, but many Lebanese (including some Shi’a) accuse Hezbollah of drawing the terrorists’ attention to Lebanese targets by acting at the command of the movement’s Iranian sponsors (Reuters, September 6, 2013; Jerusalem Post, September 6, 2013) . Hezbollah (“the Party of God”) addresses these accusations in two ways: by stating that the Syrian intervention is intended to defend all Lebanese, and by describing the Islamic State and al-Qaeda affiliated al-Nusra Front as tools Israel uses to destroy regional opposition, thus bringing the intervention within the larger anti-Israel “Resistance” agenda that has formed the movement’s core ethos since its formation (Reuters, August 15, 2014). Hezbollah is correct in one sense; Lebanon and its delicate ethnic and religious balance will indeed be in the Islamic State organization’s gun-sights if it succeeds in establishing a secure base in neighboring Syria. Nonetheless, since joining the war in 2013, Hezbollah has lost lives, resources, and most of the moral authority it once commanded even in Sunni communities in the Middle East after repelling an Israeli incursion into southern Lebanon in 2006. 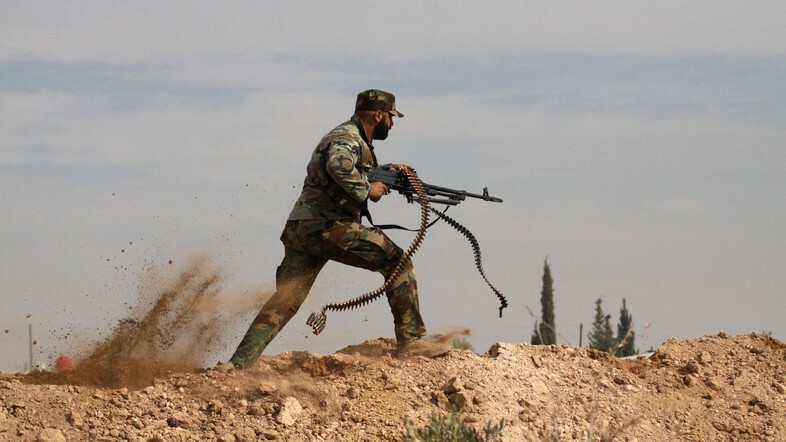 There was relatively little in the way of confrontation between Hezbollah and the Islamic State organization for some time as Hezbollah tended to operate mainly in western Syria while the Islamic State is strongest in the more lightly populated east. This all changed when the Islamic State took the war to Hezbollah on November 12, 2014 by deploying a pair of suicide bombers against the Burj al-Barajneh district of southern Beirut, a mixed but largely Shi’a neighborhood where Hezbollah has a strong presence, killing and wounding scores of civilians. Eager to punish Hezbollah for its Syrian intervention, the Islamic State promised “the Party of Satan” much more of the same (al-Manar TV, November 12, 2015). On December 3 2015, US Secretary of State John Kerry admitted that the Islamic State cannot be defeated without ground forces, but suggested these should be “Syrian and Arab” rather than Western in origin (Reuters, December 23, 2015). Washington’s efforts so far to assemble and train a politically and religiously “moderate” rebel army have been “a devastating failure” according to Nasrallah, who insists that air strikes alone will do nothing to eliminate the Islamic State organization (AP, September 25, 2015). Who, then, should these ground fighters be? They will certainly not be British Prime Minister David Cameron’s mythical 70,000 “moderate” rebels (Independent, December 1, 2015). Saudi Arabia and the Gulf nations regard American-led efforts to restore order in Syria as ineffective and are unlikely partners in a Western-led military initiative; besides, their own resources are currently committed to the ongoing military struggle for Yemen. Syria’s Kurdish militias are capable, but have displayed little interest in campaigning outside their own traditional territories. This leaves regime forces and their allies as the only local groups currently capable of tackling the Islamic State in the field. Saudi Arabia’s clumsy attempt to create a Saudi-led anti-terrorist military alliance of 34 Islamic nations – mainly by announcing its existence to the surprise of many nations the Kingdom claimed were members – further escalated tensions between Shiite and Sunni communities when it was observed that majority Shi’a nations like Iraq and Iran were noticeably absent from the list of members. Though Lebanon’s Sunni prime minister Tammam Salam declared Lebanon was part of the alliance, membership was immediately rejected by Hezbollah and most Lebanese Christian parties, the latter correctly pointing out that Lebanon had no status as an “Islamic nation.” A Hezbollah statement claimed the Saudis were unsuitable as leaders of an anti-terrorist coalition as they were involved in state terrorism in Yemen and supported terrorist organizations there as well as in Syria and Iraq. The statement went on to question whether the new alliance would confront “Israeli terrorism” or instead target “the Resistance” (Hezbollah, Iran and Syria) (Al-Manar, December 17, 2015; AP, December 17, 2015). Salam claims to have since received assurances from the Kingdom that the Islamic State and not Hezbollah will be targeted, but vital questions remain concerning how the Sunni alliance would interact with Hezbollah and other Shiite forces on the Syrian battlefield (Daily Star [Beirut] Dec 16 2015). Saudi Arabia’s recent decision to execute Shaykh Nimr al-Nimr, a leading Shiite opposition leader, will only embitter the struggle between Shiites and Sunnis in Syria – Nasrallah described it as “an appalling event” (Reuters, January 3, 2016). With growing calls for greater Western military intervention in Syria and even to set aside the anti-Assad rebellion in order to allow the Syrian Army to focus on the elimination of the Islamic State, it must be understood that at this point of the war there is no functioning Syrian Army that can be separated and deployed independently of Hezbollah and the Iranian military advisers now running Syrian Army operations. With few exceptions, Syria’s war does not unfold in a series of set-piece battles, but rather in small actions, “a battle of ambushes, of surprise attacks” as one rebel colonel described it (Reuters, October 30, 2015). This daily war of attrition and a rash of desertions has greatly reduced the size and effectiveness of the Syrian national army. Now most operations are planned by Iranian and Hezbollah advisors using well-trained Hezbollah fighters to stiffen Syrian units in the field. Hezbollah now has an estimated 6000 fighters in Syria, mostly experienced light infantry well-suited to the war’s pattern of small-level clashes punctuated by the occasional major battle. While losses have been heavy at times, the deployment has given Hezbollah valuable battlefield experience in operating on unfamiliar terrain and in cooperation with the regular forces of other nations (Syria, Iran and Russia). Hezbollah’s war aims are both declared (protecting Shi’a shrines in Syria) and undeclared, the latter including keeping supply lines from Iran open, preserving the friendly Assad regime and keeping Sunni extremists (al-Nusra, Islamic State, etc.) from entering Lebanon. To mollify those who claim the Syrian adventure has little to do with the anti-Israel “Resistance” agenda, Nasrallah claims that Zionists and Sunni extremists have the same goal – “destroying our peoples and our societies” (AFP, October 18, 2015). The Hezbollah leader also insists that any political solution in Syria “begins and ends” with President Bashar al-Assad (AFP, June 6, 2014). Though Hezbollah has a polarizing effect on Lebanese politics and a record of terrorist attacks, the movement, unlike the Islamic State organization, is no wild-eyed band of religious fanatics ready to slaughter everyone that does not share their religious preferences. As a political party with a strong social-welfare arm, Hezbollah’s leaders have deftly created a political alliance with Maronite Christian factions, secular Druze and even Shi’a of the Amal Movement with whom Hezbollah waged a bitter war in the 1980s.Lebanese sources indicate that Hezbollah began recruiting Christians, Druze and Sunnis for the fight against the Islamic State in late 2014 (Daily Star [Beirut], November 12, 2014). Nonetheless, opposition to Hezbollah within Lebanon cannot be understated. To counter the political “normalization” of the movement, Israeli Prime Minister Benjamin Netanyahu has proclaimed Hezbollah a global threat that has organized, with Iran, a terrorist network spanning 30 countries on five continents (AFP, July 28, 2015). Nasrallah, in turn, has emphasized the “ISIS monster’s” threat to Jordan, Saudi Arabia and the Gulf States, some of them important sources for private donations to the Islamic State and other Sunni extremist groups. According to Nasrallah: “This danger does not recognize Shiites, Sunnis, Muslims, Christians or Druze or Yazidis or Arabs or Kurds” (Reuters, August 15, 2015). Jews are notably absent from the Hezbollah leader’s list of ethnicities under threat as Hezbollah considers Israel’s Jews to be in league with the Islamic State terrorists. Last month, President Netanyahu abandoned Israel’s traditional policy of refusing to confirm or deny involvement in foreign air-strikes, acknowledging that Israel was targeting Hezbollah arms shipments to prevent the transfer of “game-changing” weapons from Syria to Lebanon. When Israel believes it has missed a weapons transfer, it attacks Syrian arms stocks, inhibiting the Syrian Army’s ability to combat the Islamic State and other rebel groups (DefenceNews, November 18, 2015). Israeli airstrikes have not targeted Islamic State forces or installations in Syria; like al-Qaeda, ISIS appears reluctant to attack Israel directly, insisting that America must first be weakened and an Islamic state established in Iraq and Syria before Israel can be addressed (Arutz Sheva 7, October 7, 2014). This reluctance to strike Israel only reinforces Hezbollah’s belief that there is cooperation between Israel and the Sunni extremists (Tasnim News Agency [Tehran], December 10, 2015). Bashar Assad himself has joked that no one can say al-Qaeda doesn’t have an air force when they have the Israeli Air Force to attack regime and Hezbollah positions (Foreign Affairs, January 25, 2015). 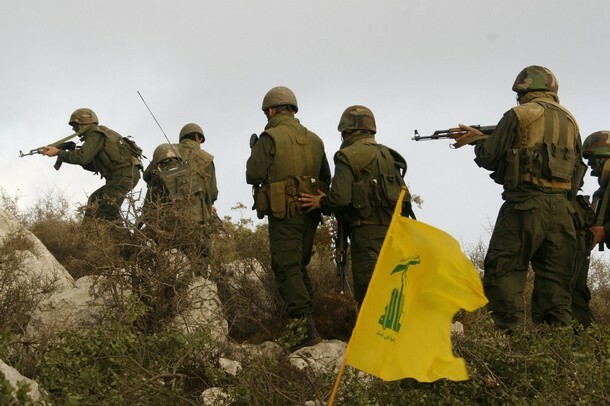 Last summer, Hezbollah and Syrian government forces succeeded in driving rebel forces from their last positions in the Qalamun region alongside the border with Lebanon after nearly two years of fighting. Islamic State and al-Nusra fighters had used the region for attacks within Lebanon. Since then, Hezbollah has intensified its war against the Islamic State and Assad’s other enemies in coordination with Russian airstrikes. Though initially criticized for focusing on Syrian Turkmen communities and American-supported units of the Free Syrian Army, Russia has expanded its target list to include the Islamic State, the Nusra Front and the Jaysh al-Islam militia. So far, Russia appears to be tolerating Israeli strikes on Hezbollah targets, but has also been accused by Israeli military sources of supplying anti-ship cruise missiles to Hezbollah, whether directly or indirectly through Syrian middlemen (al-Manar TV [Beirut], January 15; Jerusalem Post, January 14). Moscow’s deployment of powerful S-400 ground-to-air missiles in Syria means Russian objections to specific air operations over Syria will have to be taken seriously. Russia and Israel have made extraordinary efforts to avoid running in to each other in Syrian airspace – the consequences of an accidental clash could be significant; a Russian military alliance with the “Resistance Axis” of Hezbollah, Syria and Iran would change the strategic situation of the Middle East. Russia has indicated it considers Hezbollah to be a “legitimate socio-political force” rather than a terrorist group, suggesting it is prepared to work with the group in Syria (Reuters, November 15, 2015). Regardless of the number of “moderate” rebels in Syria, Hezbollah remains better trained, better armed and better led. The moderates cannot operate effectively against the Islamic State until and unless they can disengage from their conflict with the Syrian Army and the rest of the “Resistance Axis.” The West’s contradictory war aims in Syria have been noted by former UK chief of defense staff General David Richards, who suggests that the anti-Assad rebellion needs to be set aside in order to allow the Syrian Army, Hezbollah and their Iranian backers to focus on the elimination of the Islamic State (Guardian, November 18, 2015). However, this plan would require somehow persuading anti-Assad factions to abandon or postpone their struggle as well as cooperation with anti-Assad Kurdish forces to be successful, not to mention a degree of political flexibility in the Western allies that does not exist at present. So what are the West’s options? Hezbollah might be persuaded to leave Syria if it was guaranteed that capable military forces (preferably not Western in Hezbollah’s view) would serve as their replacement in the defense of the Assad regime. There is little political appetite for this proposition in the West at the moment, despite an increasing number of voices suggesting that the Islamic State organization rather than Assad might be the most pressing problem in Syria. An alternative is to try to find a means of combating the Islamic State on the ground without recognizing or coordinating with Assad/Hezbollah forces engaged in the same battle, a tricky bit of military manoeuvering that is likely to end badly. A third option would be to confront Assad regime/Hezbollah/Iranian forces simultaneously with attacks on the Islamic State to create a “New Syria,” a move that would run a high risk of confrontation with Russia and Iran, incite international opposition and the expansion of the conflict well beyond Syria’s borders. The resulting power vacuum in the ruins of Syria would be worse than that experienced in Libya and would in the end pose a direct security threat to both the West and the Middle East. To resolve the Syrian crisis it is essential either to come to terms with Hezbollah or to confront it, knowing in the latter case that the bulk of the movement and its leadership will remain in Lebanon with the means to strike back at its international antagonists. Ignoring its existence or its role in confronting anti-Shi’a Sunni extremist groups like the Islamic State will not be an option in any ground-based effort to crush Islamic State terrorists.